This Srinagar hotel has three floors and fourty-one rooms. The Hotel is situated in the very heart of city. 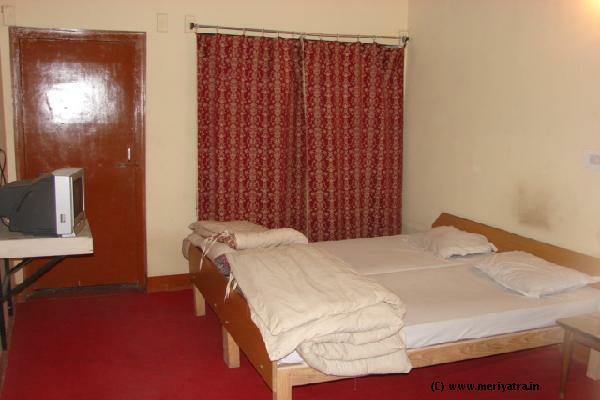 Please note that the hotel can put an extra bed at a cost of Rs.110 and also dormitory avaliable cost Rs.100 per person. Room heating are also available at the cost of Rs.100 per day. Nearby restaurant to this Srinagar hotel are Mughal Darbar, Aalka Salka, This Hotel has its own restaurant which serves North Indian and Mughali food. Nearby attraction to this Srinagar hotel are Dal Lake, Mandir Bagh. Please note that the dealings over the counter at this Srinagar hotel are done in cash only. If the booking is cancelled seven days before the date of arrival, 100% of the booking amount will be refunded. If the booking is cancelled after that, no refunds will be given.